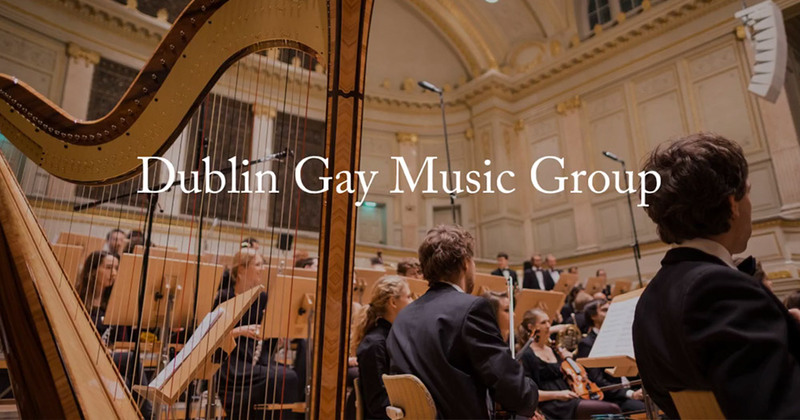 Welcome to the home of the Dublin Gay Music Group. We are a group of gay men of all ages who meet each Saturday (13:00-15:30) to enjoy classical music on CD and DVD. Whereas the focus is primarily on listening/viewing, there is ample opportunity to talk about musical likes and dislikes and this often leads to lively and informative discussions on the music, composers and performers. The format of our meetings is simple: each visitor brings a contribution from his own music collection on CD or DVD, typically 10-15 minutes long. As our meetings rotate among members’ homes, the host of the day acts as DJ and decides the order of play. The session concludes with one member presenting a 30-minute programme which may be a single favourite work or a mini-concert of shorter pieces. This formula results in members getting to hear a great variety of music both familiar and unfamiliar. The social dimension frequently sees members linking up to attend concerts or opera in Dublin, and sometimes outside the capital. A Group trip abroad to experience the great orchestras and opera houses of Europe has now become an established part of spring activities. Paris (2001), Berlin (2002), Vienna (2003), Prague (2004), Munich (2005), Dresden & Leipzig (2006), Budapest (2007), Zürich (2008) and New York (2009, a very select couple of members) are the cities so far visited. We returned to Berlin in 2010, went to Vienna for a second time in 2011, and went to the Rhine Valley (Freiburg and Baden-Baden) the following year. We went back to Berlin this year (our third time there) and are considering a return to Paris in 2015, the city where it all began. You don’t have to be a musical scholar to be a part of things. We get together simply because we enjoy listening to music, and there’s nothing stuffy or academic about it. Stated simply, we love music, and our emphasis is on sharing and enjoying classical music with other like-minded guys.